Cute penguins on the cool water. I figured just looking at them would help keep me cool while I worked! The quilt is about 39″ x 51″. 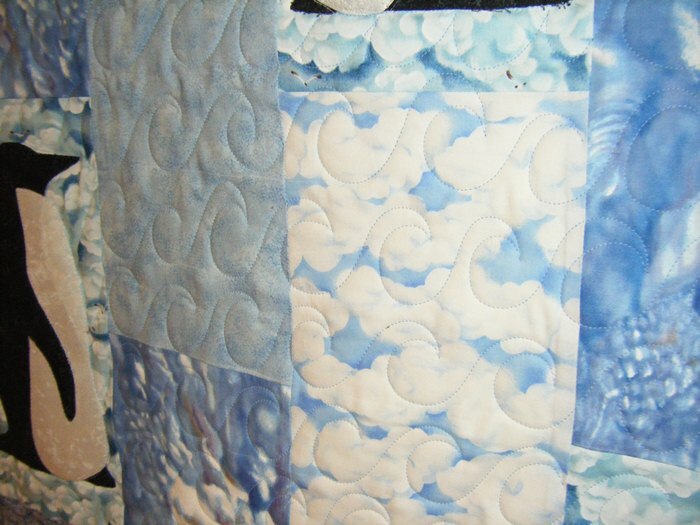 I outline quilted the penguins and fish and then added freehand waves of various sizes across the water. The backing is a flannel print of penguins on icebergs. Just a perfect finish to her quilt. 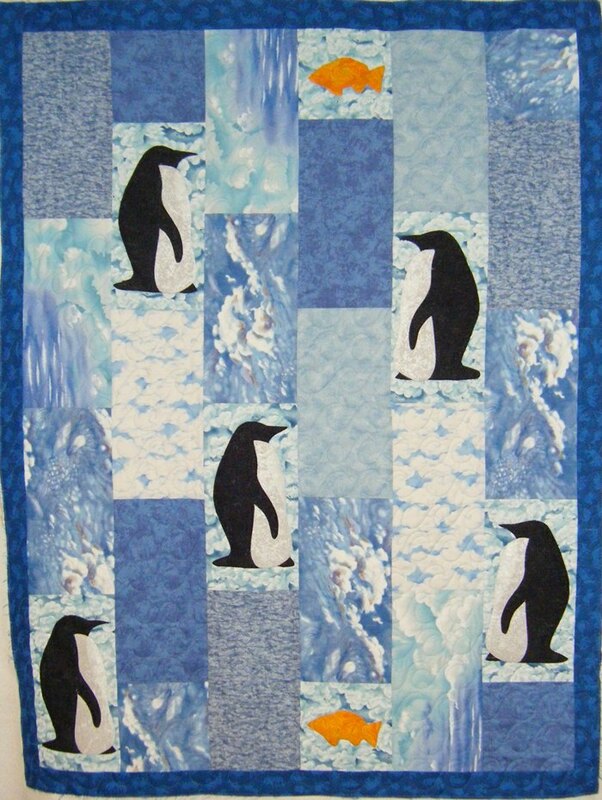 Enjoyed seeing the penquin quilt done–great job!